Sum-it Roofing guarantees 30-40 years of proven residential roofing protection at a competitive price. Sum-it Roofing overcomes the elements of nature by using and recommending 3-D CertainTeed, BP, IKO, GAF or Owens Corning Roof Shingles guaranteed to last 30 to 40 years by the manufacturer. These sturdy residential roof shingles are thicker in weight featuring a 3-D two-toned appearance. Unfortunately, today about 80% of residential roofing is installed using 3-tab design shingles, which are known to curl and blow off the roof. At Sum-it we supply and install a wide variety of higher performance laminated architectural shingles from the U.S. and Canada featuring no separation within the shingle. Our roofing consultants will help customers make their purchasing decisions based on their preference of design, grade, colour and budget. To ensure that your roof has the up most durable protection we believe installing ice and water barriers for the maximum life of the shingles. Leak barrier products protect most leak-prone areas of the roof such as skylights, dormers, vent pipes, chimneys, and other flashing areas. 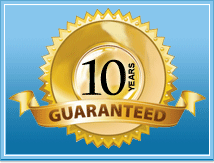 At Sum-it we stand behind our name and product offering a Ten (10) Year Workmanship Warranty. Let our roofing experts demonstrate the various types of shingles and home improve ment roof options. Call 416-887-8767 today or Toll Free: 1877 204 1519 today to book your complimentary consultation and get a FREE roofing estimate. Gutter/Eaves guards – You have a choice of 2 types of Gutter guards. Attic Insulation – Discover new ways to insulate your attic and make your home more “energy efficient” and “eco-friendly”. We can help you bring your insulation up to code by adding “blown in” cellulose/fiberglass insulation. At Sum-it, we guarantee protection by installing eaves-troughs custom made on site, using Aluminum 5”/ 6" or Custom Seamless Eaves-trough Replacements. Our seamless eaves-troughs are available in a variety of colours and produce a “continuous flow” method minimizing the chance of water flowing through or ice and snow accumulation during the winter months. Snow, ice and falling debris cause heavy stress on eaves-troughs in the fall, winter, spring and summer seasons. Our roofing experts recommend using eaves-troughs or “gutters” but why? Eaves-troughs drain and guide the water to large drainpipes that reroute the water away from your home protecting your foundation walls and basements from leaking. Improve the overall roofing design in your home. Is light in weight and old aluminum can be recycled. Customers no longer have to paint or scrap wood taking advantage of low maintenance benefits. Rust and corrosion are eliminated since aluminum has replaced Galvanized eaves-troughs. Our Estimator/Consultant will demonstrate aluminum eaves-trough solutions and home improvement suggestions. Please contact 416-887-8767 for your complimentary consultation and free estimate.